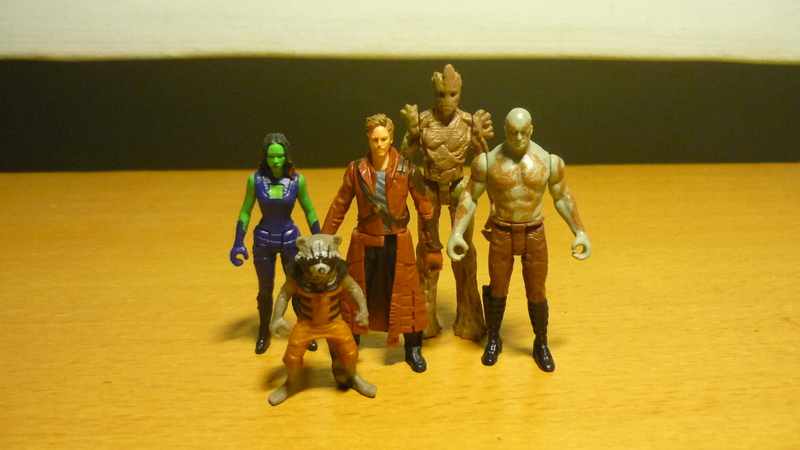 It’s been a while since “Guardians of the Galaxy” was released in theatres, and now the “Guardians of the Galaxy” toys are on clearance sale! 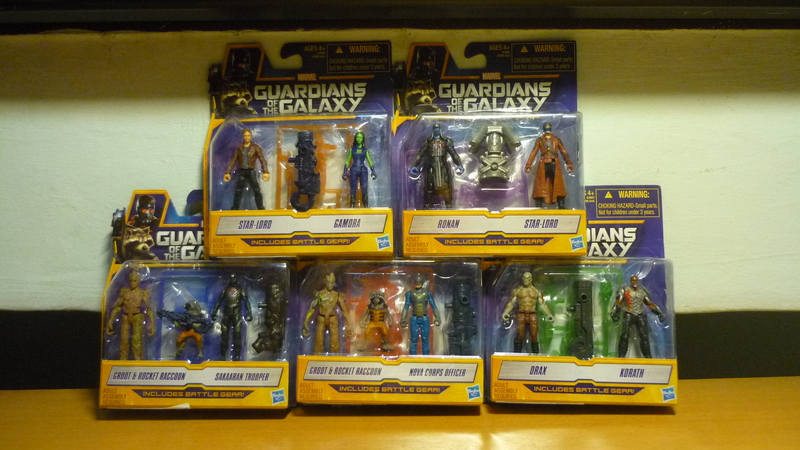 So I’ve taken this opportunity to collect the “Guardians of the Galaxy” 2.5″ action figures. 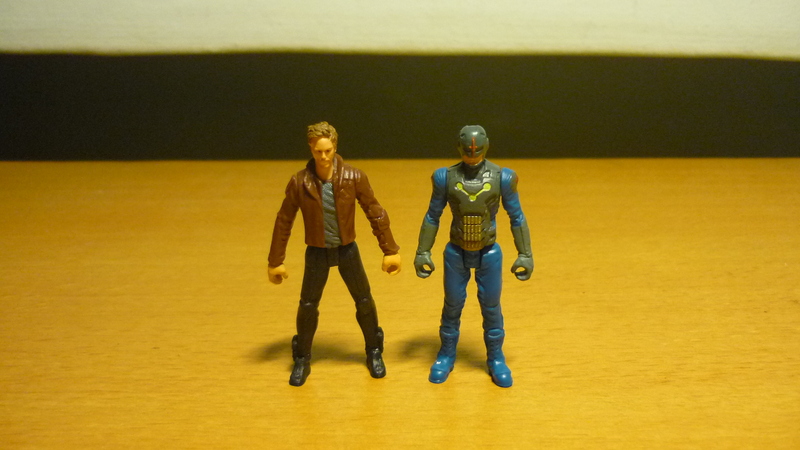 In a departure from the 3.75″ figures released for “The Avengers”, “Captain America”, and “Iron Man” movies, the “Guardians of the Galaxy” figures are released at 2.5″ size to fit inside the accompanying GotG spaceship playsets, in line with the movie’s sci-fi theme. 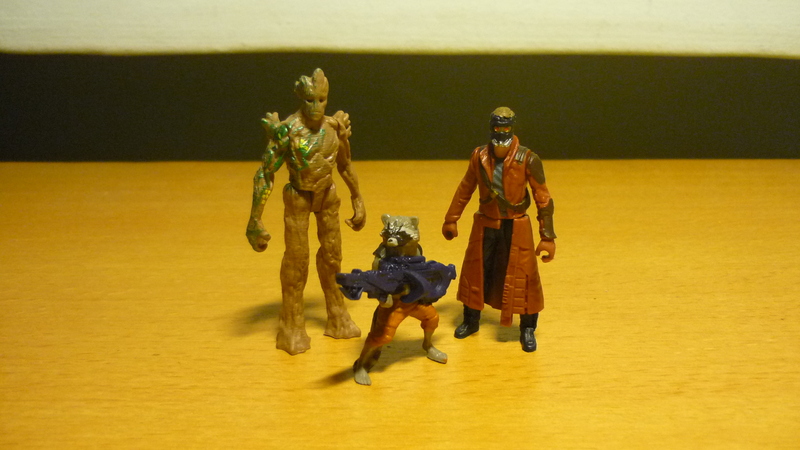 and Rocket Racoon with his big freaking gun. 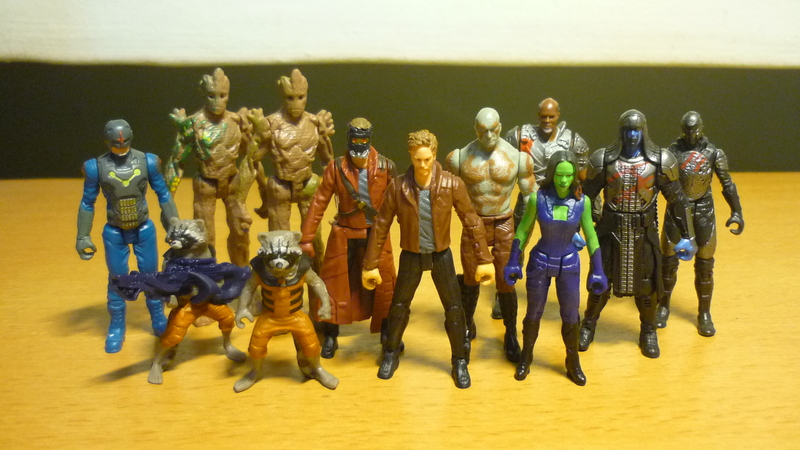 Here’s an ensemble pic. 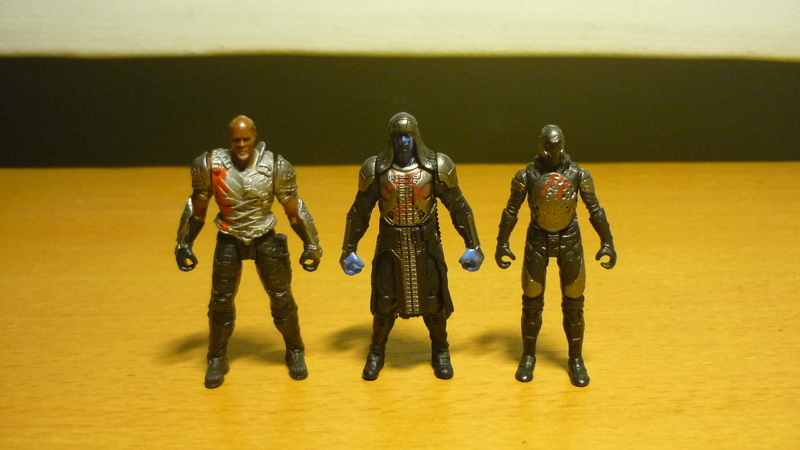 At 2.5″, articulation is severely limited, there’s no elbow or knee motion. 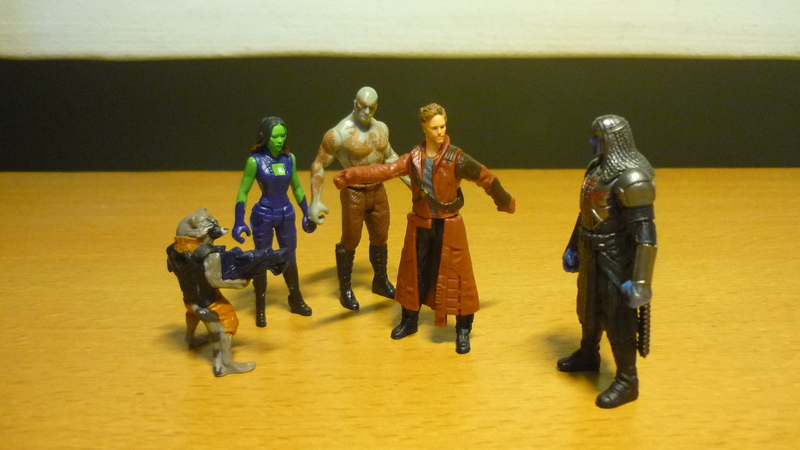 In fact Rocket Raccoon cannot even swivel his head, or swing his arms and legs.